The kind and caring team members at Dentistry at Consilium are passionate about helping patients achieve healthy, beautiful smiles. We can’t wait to meet your family. 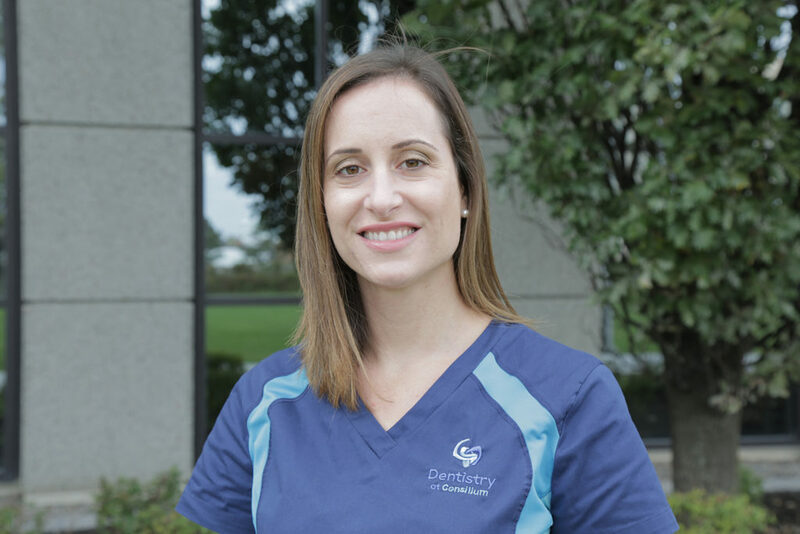 Christine joins the Dentistry at Consilium team after being in the healthcare industry for more than 17 years. 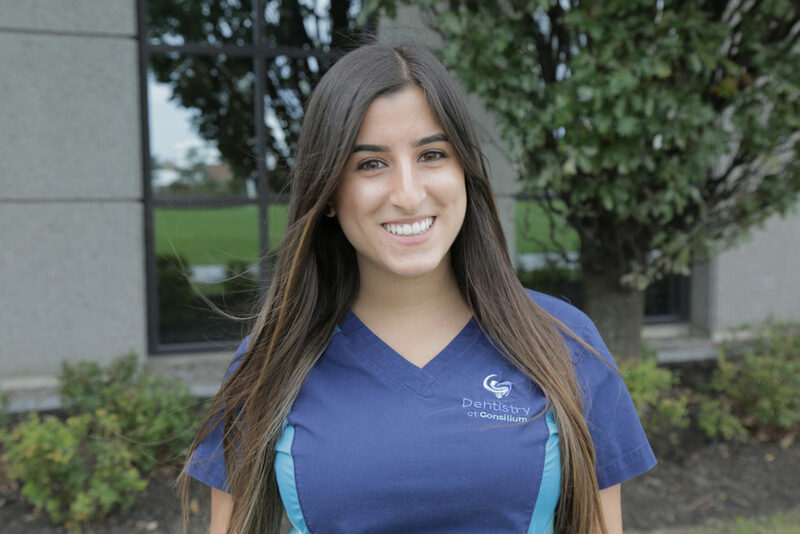 She has a passion for helping others and loves working with our patients as they better their oral health. Christine enjoys seeing patients feel more confident about their smile with each passing appointment. When she isn’t in the practice, she enjoys spending time with her family and exploring all that Scarborough has to offer. 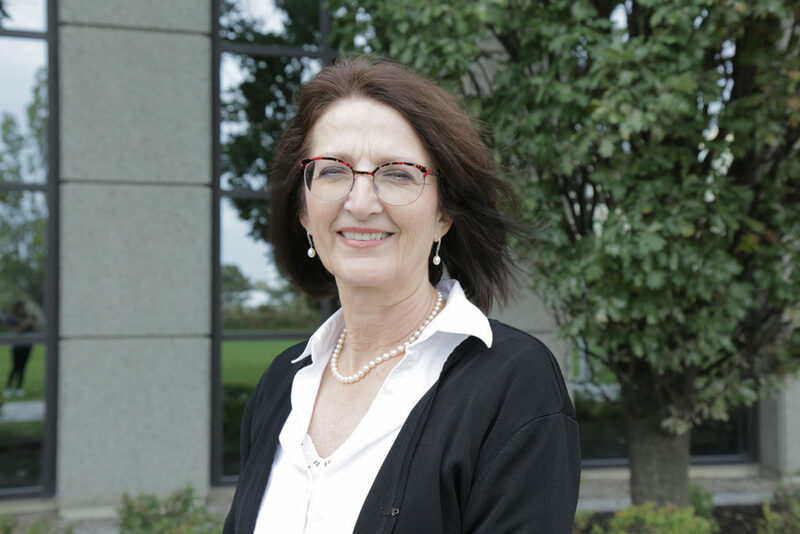 Evelyn wears many hats at Dentistry at Consilium. Along with her front desk duties, she helps out in the operatories by taking X-rays. She is also responsible for the “Whitening Department” and answering patients’ questions in regards to enhancing their smiles. 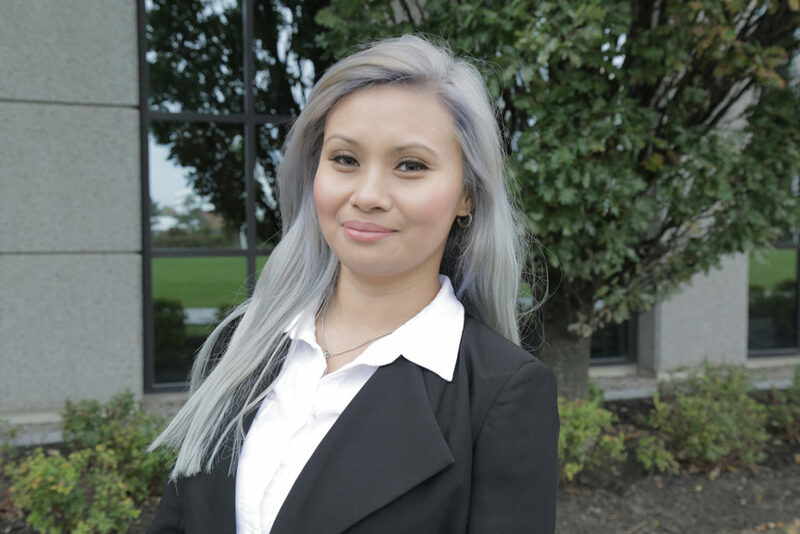 Evelyn is a certified Level II Dental Assistant and has taken varying dental and health-related courses including ones completed at the University of Toronto. Additionally, she has taken courses in accounting and is an active member of the Ontario Dental Assistant Association. 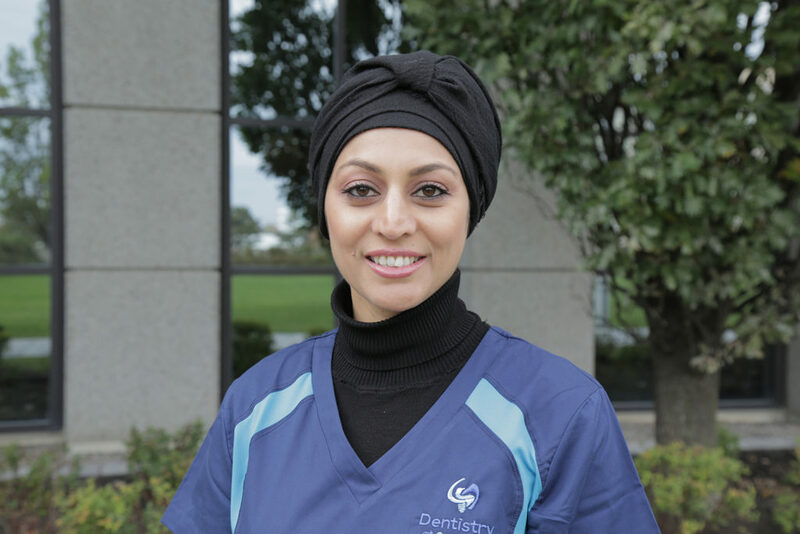 She has always been passionate about helping people; she fell in love with the art of dentistry and being able to help patients achieve better oral health. Seeing a patient at the end of their treatment with a brand-new, life-changing smile, or be free of pain or dental anxiety are some of the most fulfilling aspects of her day. Sandy strives to make every visit to our dental office pleasant and comfortable. Helping patients to experience optimal oral health is her passion. She discovered her interest in teeth as a young child when she pulled my first one out! After that experience, she was destined for a career in the dental field. In addition to her Diploma in Dental Hygiene, she also graduated from York University in 2003 with double honours bachelor degrees in Kinesiology and Health Sciences and Health and Society. To keep abreast of the latest in dentistry, Sandy takes ongoing continuing education courses. When she is not helping patients at the practice, she enjoys photography, spending time with family and friends, and yoga. 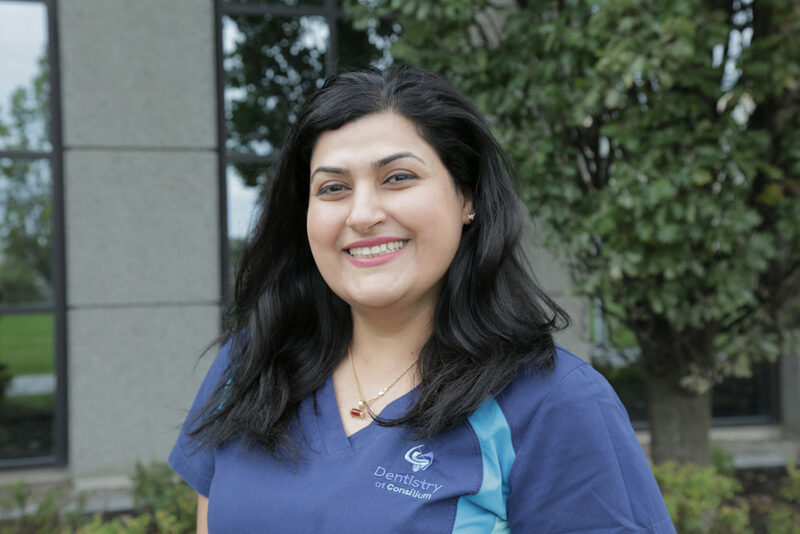 After obtaining her Level 2 Dental Assistant Certificate in 2001, Masi has joined the Dentistry at Consilium team with a passion for spreading oral health awareness and helping patients better understand what they can do to maintain their teeth and gums. Masi began her time in the workforce as a teacher as she loves helping people learn. As a Dental Assistant at Dentistry at Consilium, Masi gets to help patients learn and see smiles on their face every day. Outside of the practice, Masi enjoys painting, spending time with her lovely family, riding her bike and crafting new recipes in her kitchen.